Big, vibrant plumes that will take your breath away! Celosia ‘Dragon’s Breath’ is an extra-large, late flowering Celosia, producing an abundance of vibrant red foliage with large plume-type blooms that are most attractive and stand out against a garden-scape. Celosia ‘Dragon’s Breath’ works in perfectly with mixed containers and landscapes due to it’s tall, upright habit, performing well under hot and humid conditions and is an option for landscapers looking for bright red colour. 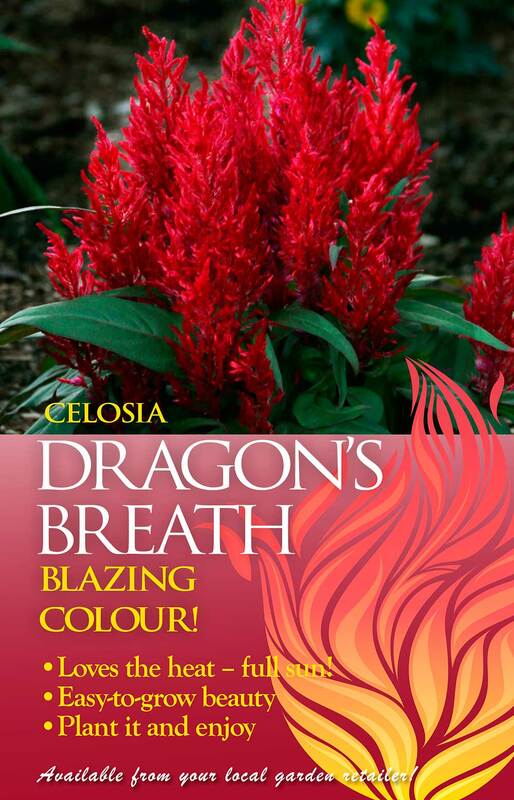 Celosia ‘Dragon’s Breath’ is available at all good garden centres.